Facebook enters the home with Portal – tech triumph or just tone-deaf? 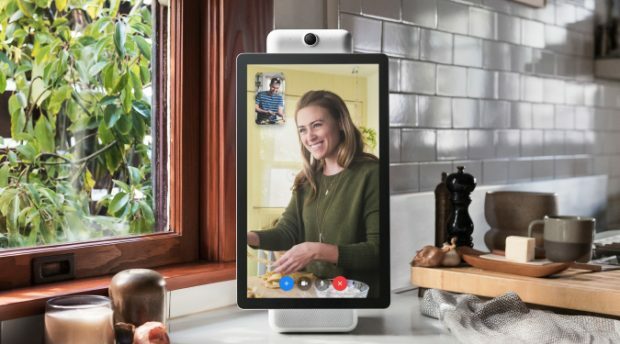 Facebook enters the home with Portal – tech triumph or tone-deaf? 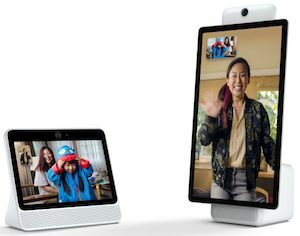 Facebook has launched Portal and Portal+, two new video communication devices for the home, but early social media response appears negative. “When you can’t be there, Portal and Portal+ let you feel there” says a Facebook Newsroom release. The two devices use AI technology to make video calling easier. Many on social media are already raising privacy concerns and accusing the social network of some tone-deaf timing after its recent array of user data privacy woes. #FacebookPortal I definitely trust Facebook to have even more cameras and microphones in my home because of their stellar record of protecting user privacy. Portal’s Smart Camera and Smart Sound technology offer a hands-free experience. “Whether you’re cooking in the kitchen or chasing the kids around the living room, Smart Camera stays with the action and automatically pans and zooms to keep everyone in view,” says the announcement. Like other popular connected home devices, Portal offers hands-free voice control. 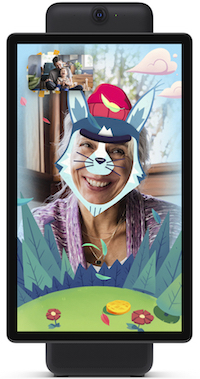 Users can start a video call by saying ‘Hey Portal’ and noting who they’d like to call. It has Alexa built in, leveraging the tech’s robust voice tech that enables to ask for news updates, check the weather, control smart home devices, order items and more. Perhaps in anticipation of the public’s response, Facebook has promoted the products’ “built in privacy and security.” Users will be able to disable the camera and microphone with a single tap. A physical camera cover lets users block their cameras lens and still perform voice commands and receive incoming calls and notifications. It remains to be seen whether Facebook’s efforts in this regard will resonate with consumers. Portal voice history can be deleted at any time. Facebook has partnered with Spotify Premium, Pandora, iHeartRadio, Food Network and Newsy to enable shared activities like listening to music or watching shows together. It is also incorporating AR effects powered by the Spark AR platform to make calls more fun and interactive. Portal (US$199) and Portal+ (US$349) are available now for pre-order in the US and will begin shipping in November.